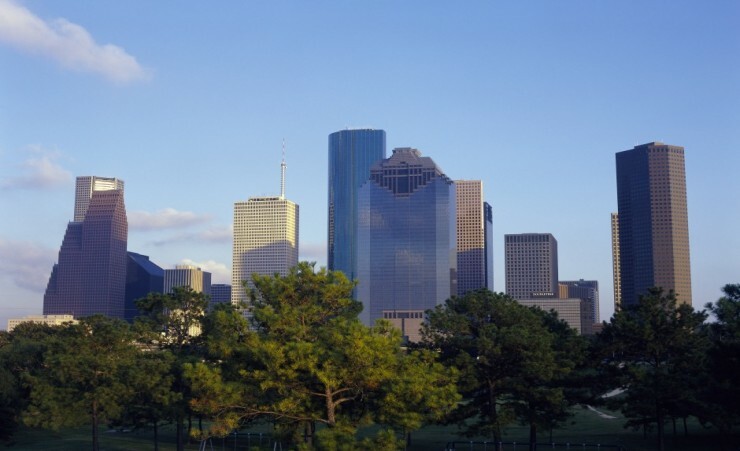 As Texas's biggest city, Houston is home to some of the finest museums, performing arts and entertainment in the United States. Extend your stay in this sprawling city to further experience the culture or treat yourself on a trip to one of the many shopping malls. Depart London on your scheduled direct flight to Nashville. 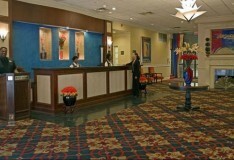 On arrival, you will be met by a local tour director and transferred to your hotel. 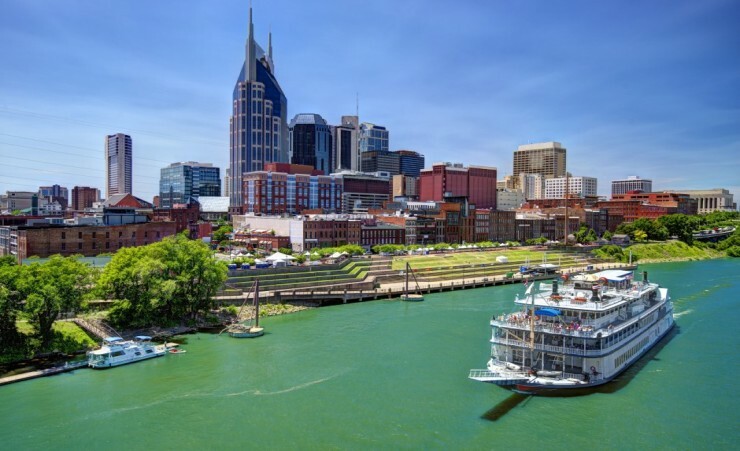 Enjoy the evening at leisure in Nashville, 'Music City USA', a city set amidst rolling farmland and known worldwide as the home of country music. This morning, take a scenic drive to historic Lookout Mountain with its fabulous views across terrain fought over during the Civil War. Continue onward to Chattanooga and explore this picturesque city, nestled between the dramatic peaks of the Appalachian Mountains and the glimmering waters of Chickamauga and Nickajack Lakes. After time to wander through the city, return to Nashville for tonight's welcome dinner with your group. 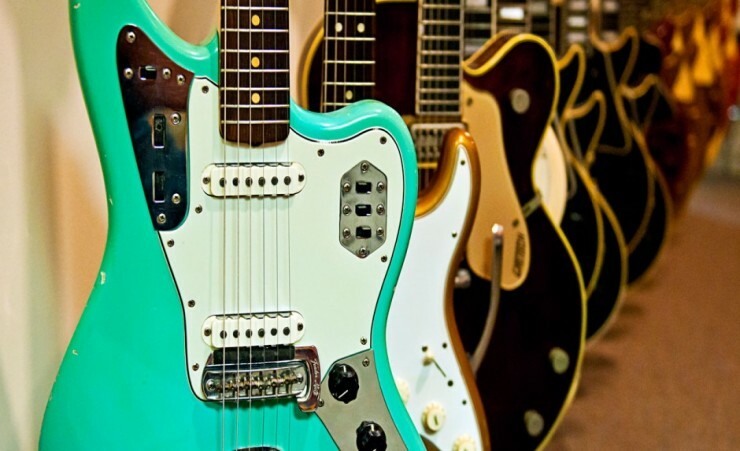 For music listeners, your tour begins with a visit to the Country Music Hall of Fame, a huge museum of all things country and western and home to films, videos, costumes and Elvis Presley's solid gold Cadillac. Next, continue to the Johnny Cash Museum to admire historical documents, awards and costumes. 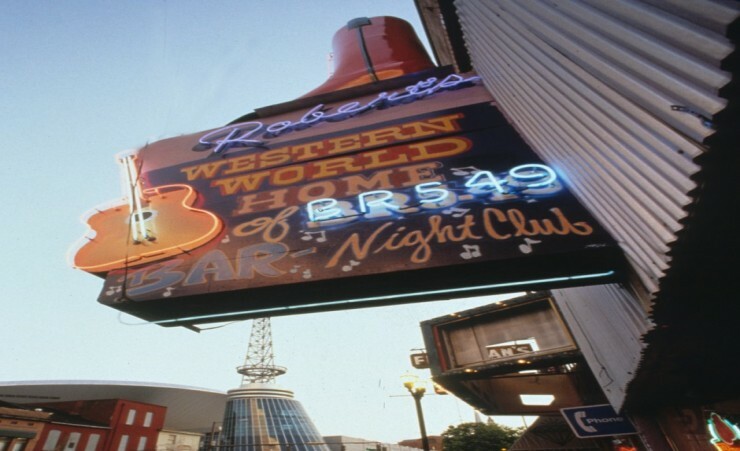 Your group will also have the chance to visit one of Nashville's famous honky-tonks playing live country music and the impressive Parthenon - the only full-scale replica of the Greek Parthenon and the reason behind Nashville's nickname 'Athens of the South'. This evening, after checking into your hotel we've arranged dinner at BB King's for a great night of Southern food, musical sounds and hospitality amongst the lively atmosphere in Nashville. 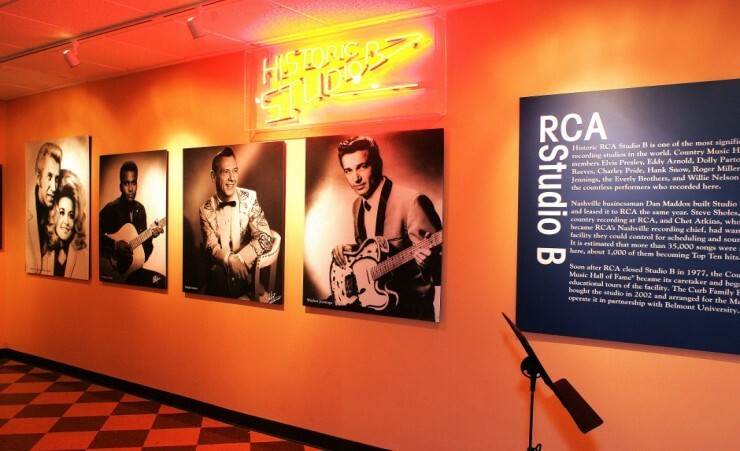 Begin the day with a visit to Studio B, Nashville's oldest surviving recording studio regularly used by stars such as Elvis Presley, Roy Orbison, Dolly Parton, Willie Nelson, Waylon Jennings and The Everley Brothers, to name just a few. The tour will then head for Memphis, yet another highlight of this Southern Musical Medley tour. On arrival in Memphis, you will take a trip to the National Civil Rights Museum built on the spot where Martin Luther King was assassinated in 1968. Telling the story of the fight for freedom from slavery through to the Civil Rights Movement of the early fifties and sixties, prepare yourself for an emotional and unforgettable experience. Today's tour of Memphis' music greats starts with a morning visit to Sun Studio where Elvis recorded his first hit and where Jerry Lee Lewis's piano still stands. 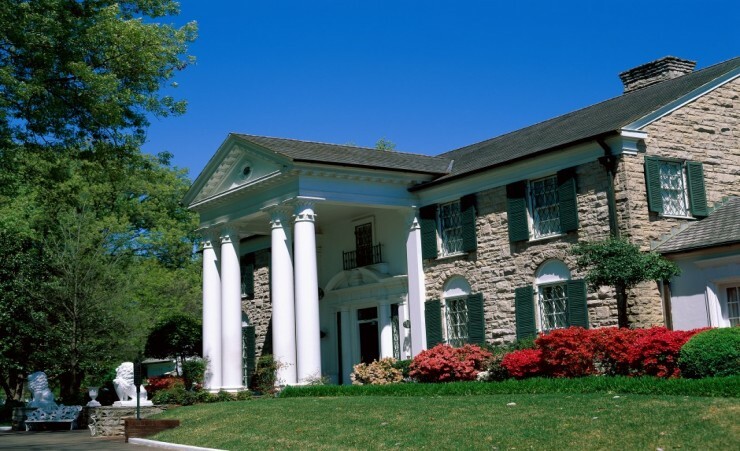 Next, experience another first for the music lover - a visit to Graceland, the iconic home of Elvis and final resting place of The King. Enjoy an audio tour through the decadent and quirky rooms including the 'jungle den' where he used to watch football games and kung-fu movies. You'll also watch the famous Peabody Ducks march to and from the Grand Lobby at the Peabody Memphis Hotel, a unique tradition dating back to 1933! Continue on through central Memphis and admire architectural landmarks such as Court Square Fountain, the Lincoln American Tower and Calvary Episcopal Church whilst your guide entertains you with entertaining tales about this rowdy riverside town and its inhabitants. 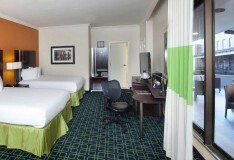 Tonight is at leisure for you to explore and experience the many bars, restaurants and music scene of Memphis. Today the tour leaves Memphis and follows the path of the mighty Mississippi River and travels deep into the heart of the Mississippi Delta via Jackson before crossing the border into Louisiana. 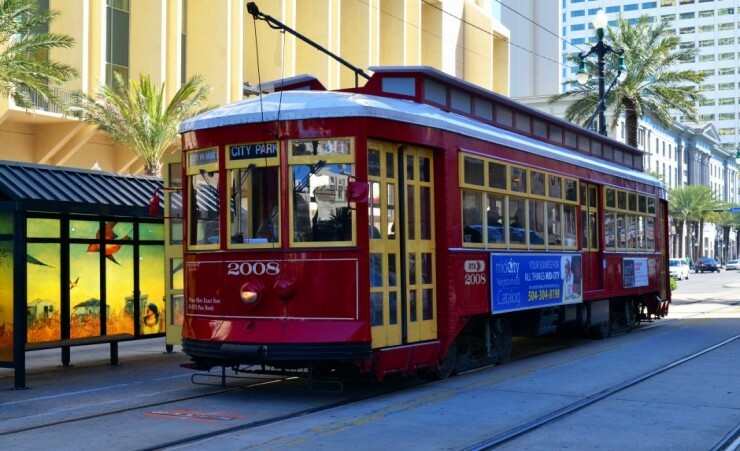 Driving across Lake Pontchartrain on the longest causeway in the world you will arrive in New Orleans, a melange of European style and Caribbean flavours and a city full of flamboyance, festivities and a whole lot of soul. 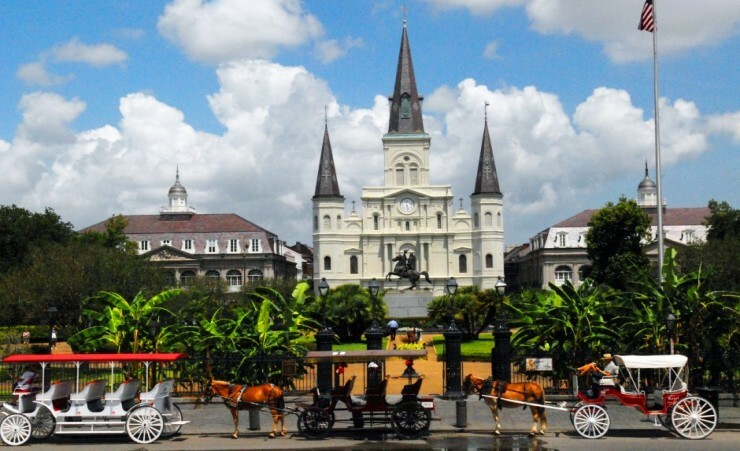 We've arranged to take you to the New Orleans School of Cooking this evening for an entertaining demonstration from one of their Creole/Cajun experts with dinner included and the chance to try a New Orleans speciality such as gumbo, jambalaya or pralines. 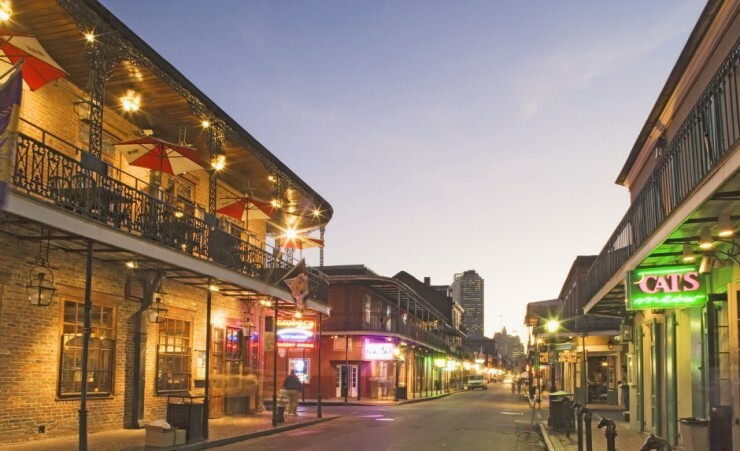 In the morning, visit some of New Orleans' highlights including the famous French Quarter taking in Bourbon Street, the art galleries and antique shops of Royal Street and Jackson Square with its many artists, museums and fortune tellers. The rest of the day and evening are for you to enjoy at your leisure, but make sure you live the New Orleans' motto 'Laissez les bons temps rouler' - let the good times roll! 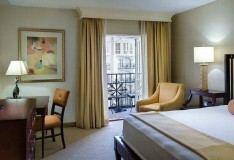 Today is a free day for you to enjoy New Orleans in your own time. Stroll around the market in the French Quarter, stop for some lunch at one of the many oyster bars and restaurants, shop for antiques and trinkets or book yourself a tour through the Louisiana bayou aboard an airboat. 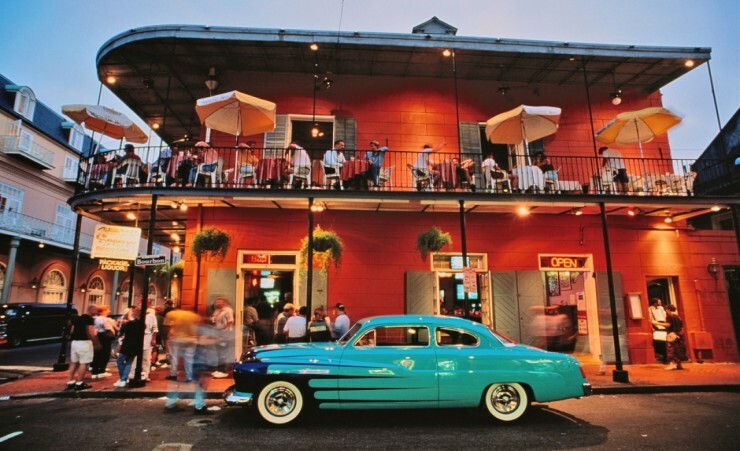 This evening you can take your pick of the many excellent bars, eateries and music venues for which this laidback city, The Big Easy, is world renowned. 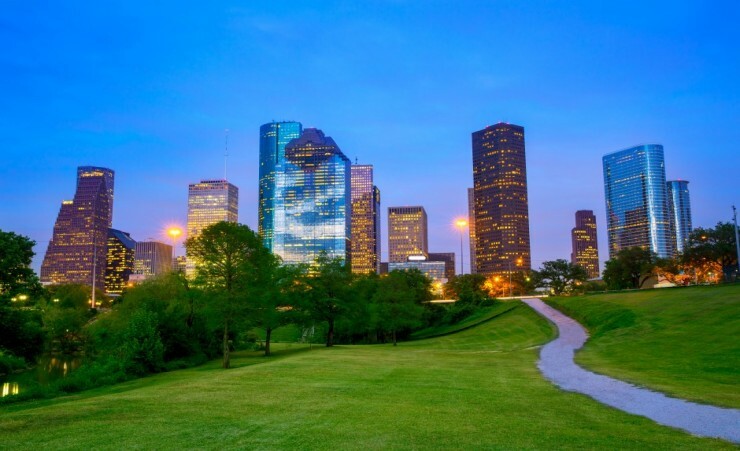 The final day of your main tour includes a visit to Houston's Space Centre, home to NASA and the world's largest collection of moon rocks and lunar samples on public view. You'll also see Mission Control that guided the first moon landings as well as original Saturn, Mercury and Apollo rockets that have been at the forefront of space exploration since the early sixties. Afterwards, return to your hotel and begin your extended stay in Houston. 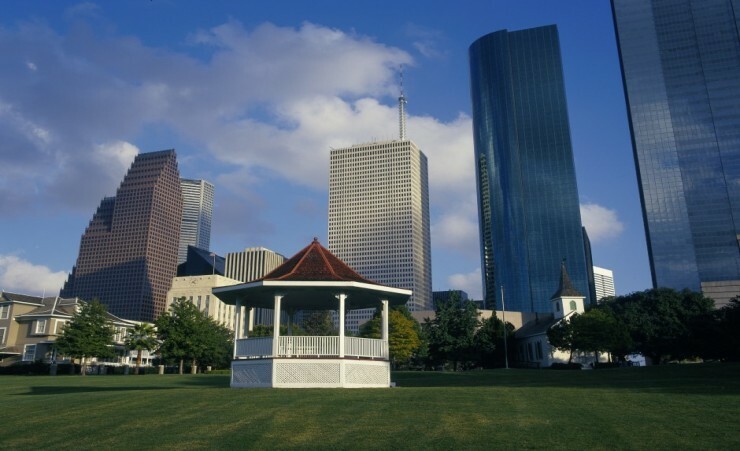 Spend time at leisure visiting the many sights of Texas' largest city. 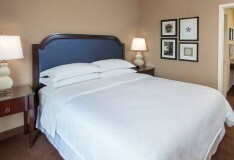 After breakfast, depart for the airport to catch your return direct flight back to London. A visa (ESTA) must be obtained before travel. Please advise if you would like us to arrange this for you. Your flight is to Nashville International Airport with British Airways (BA), departing from London Heathrow Terminal 5. Each passenger is entitled to 23kg of hold luggage. There is also an allowance of one cabin bag not exceeding 56cm x 45 cm x 25 cm and one personal bag not exceeding 45 cm x 36 cm x 20 cm that you can take on the aircraft as hand luggage. Weight restrictions will be finalized on E-ticket receipt. Should you wish to take additional luggage you will need to pay extra at check-in. Check-in should be at least 3 hours before departure. This is a fully escorted tour, meaning that you will be met on arrival and will be accompanied by a guide throughout your stay ensuring that you have first-hand knowledge at all times. The currency in America is the United States Dollar (USD). You will be able to change currency both before you travel and whilst you are away. You will also have access to ATMs during your tour where you can withdraw money in the local currency. You will need to take money with you to cover any personal purchases such as souvenirs, laundry and extra drinks and snacks. Approximately £500-£700 per person will be sufficient for the duration of the tour, depending on how much of a bargain-hunter you are! Weather can vary throughout the year, so please familiarise yourself with the climate charts below. 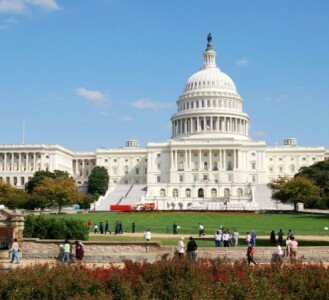 This exciting and diverse tour of America's East Coast goes into the cradle of U. 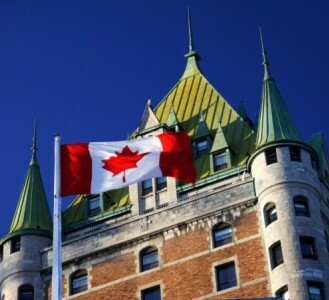 This fascinating tour will take you on a delightful journey experiencing the diversity and contrast of four unique cities, from beautiful Montreal and charming Quebec, to historic Ottawa and cosmopolitan Toronto. 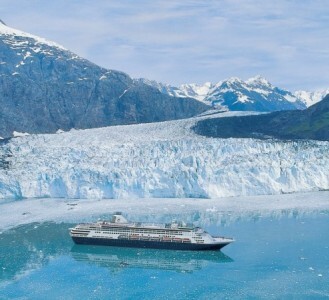 Discover the last frontier of soaring snow-dusted peaks, teal waterways inhabited by patient salmon hunting grizzlies, an endless blanket of spruce forests and a wealth of small town hill dwellings on our sensational 8-day cruise.